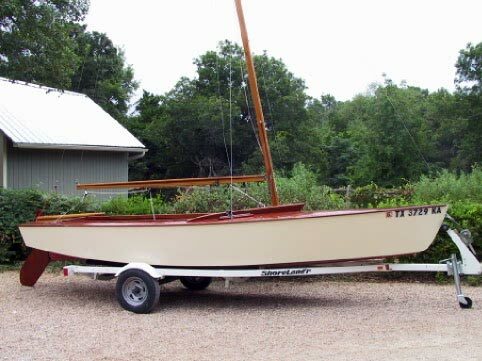 Seventeen-year-old Manasseh Durkin built this 19' x 6'5"Sparkman and Stephens designed Lightning KELLY ANN in 2003-2004. Launched in April 2004, it is planked with cypress wood, with bronze fasteners. The deck is made of mahogany, and the spars are longleaf heart pine. He built it on his front porch. 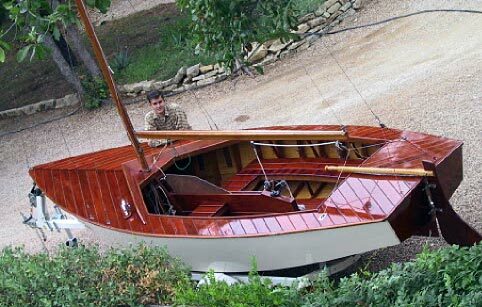 The Lightning is the second boat Manasseh built; his first was a Cosine wherry.